Hang gliding grants man his primal wish to soar with the condors. Since recorded thought man has dreamed of having wings and hang gliding makes that dream come true. Imagine flying like an eagle, You are 2500 feet or higher above the earth’s surface. Although the air is brisk, the view is stunning and the feeling is exhilarating. You seek out updrafts of air to keep you flying so that you marvel in the view for as long as you can. This is hang gliding. 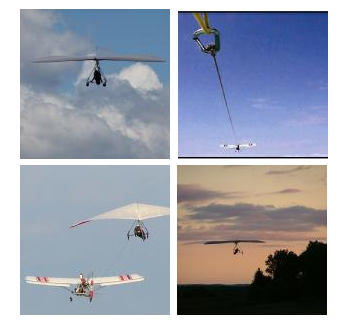 Tandem hang gliding offers you the same experience within the guide of an experienced professional. Tandem hang gliding in New York allows for some of the finest moments you can experience in the air. It’s Tandem Hang Gliding New York! For some, it can be stressful to think about leaving the ground. Our friendly staff and instructors will bring comfort and relaxation with our tandem flights over New York. 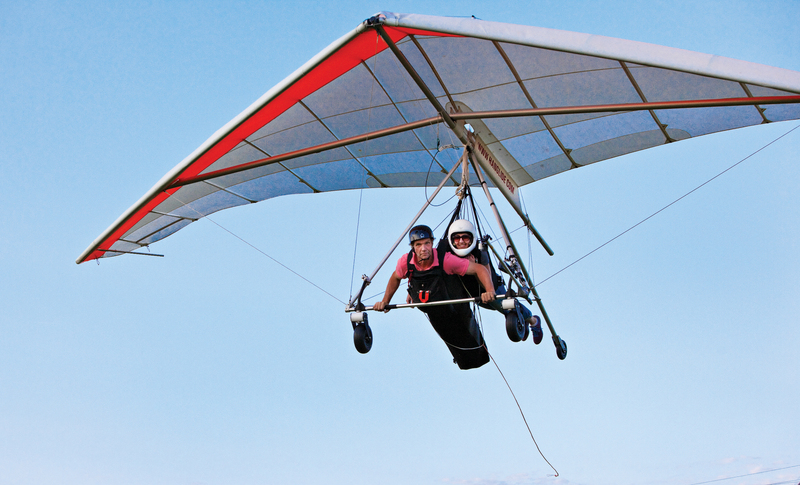 Tandem hang gliding flights allow beginners to feel all of the sensations of flying like a bird. Hangar 3 attracts people from all over for the past 14 years. We have been featured in NY magazine, Inside Edition and The CBS Morning Show. Every time they fly, they are happy they flew with us. 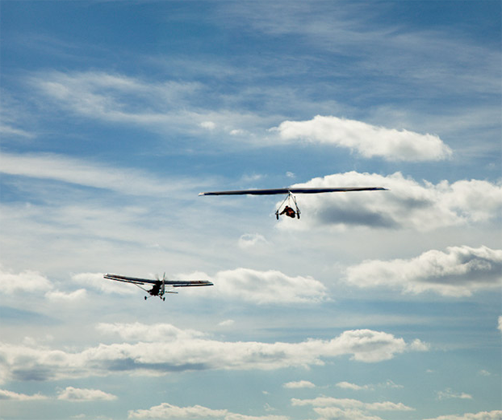 If you are deciding to take a trip to New York, or live in the tri-state area, then be sure to take time to go tandem hang gliding with us. It’s Tandem Hang Gliding New York! Hangar 3 is located in Middletown, NY. Hangar 3 is less than an hour from Manhattan, New York and just a couple hours Northwest of Long Island, New York. View Upstate New York from an aerial perspective with our professional tandem hang gliding team. 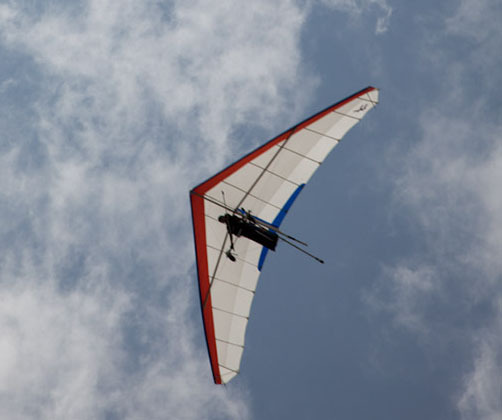 If you’re new to hang gliding and want to see what New York really has to offer, you can be assured that you are flying with professionals who will make sure you have an unforgettable experience! So if you’re NY, NJ, MA, CT or PA, be sure Hangar 3 is your headquarters for tandem hang gliding in New York. Tandem Hang Gliding New York! SEE OUR ABOUT US PAGE FOR MORE INFO.